The Law of the Sea Treaty (LOST) gives the United Nation's International Seabed Authority (ISA) control over 70% of the earth's surface. 153 nations have already ratified the treaty. Henry Lamb has put together a 10 minute slide presentation on LOST. Watch it! 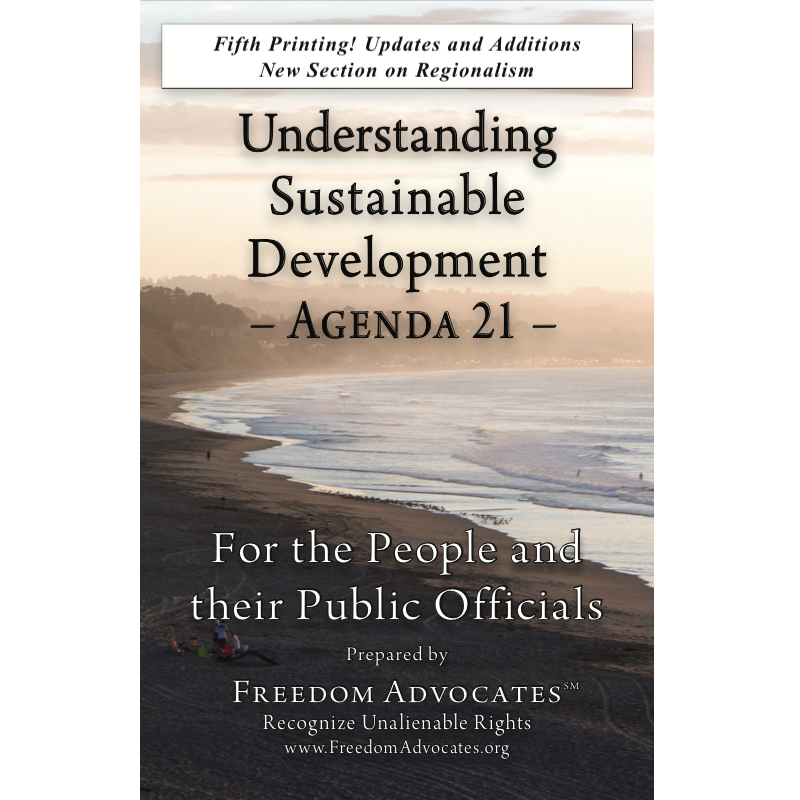 This brief commentary with indepth hyperlinks pertains to the Joint Management Plans, Regulations, and Environmental Impact Reports (EIRs) for the Monterey Bay National Marine Sanctuary, the Gulf of the Farallones National Marine Sanctuary, and the Cordell Bank National Marine Sanctuary. Many locales promote historical societies, and pass ordinances that affect basic aesthetic choices, alterations and repairs of privately-owned structures. For over 30 years the California Coastal Commission has been overzealous in its attempts to control private property. In Dennis Schneider’s case the Coastal Commission attempted to impose unreasonable building conditions on his yet to be built house merely because it could seen from certain spots off-shore. This is an example of how power-grabbing agencies with non-elected officials attempt to destroy private property rights - one property at a time. Summary: Last month the Monterey County Herald newspaper reported that Coast Guard search crews entered the Moss Landing Harbor in inflatable boats with machine guns mounted on their bows. Then, carrying M-16 rifles, they approached residents and boarded and searched their boats in the name of safety and "homeland security." According to the "Monterey Bay Begins o­n Your Street" brochure funded in part by the U.S. Environmental Protection Agency, the primary culprit responsible for environmental threats to the sanctuary is "YOU!" 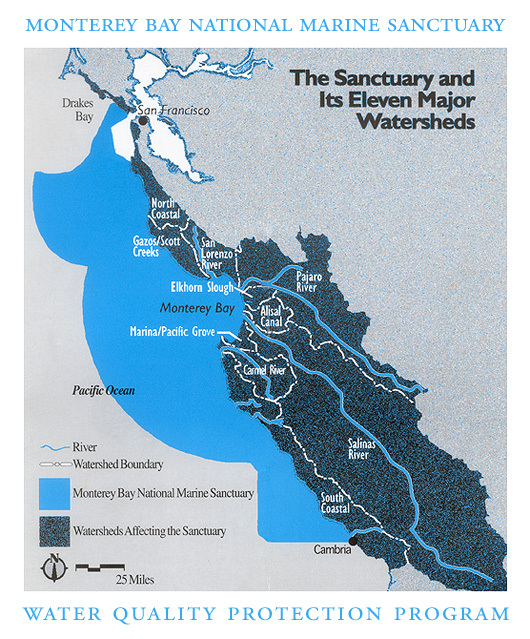 O­n the surface, the Monterey Bay National Marine Sanctuary seems like a good thing but "safeguarding" (enforcement) "goes beyond protecting the resources within its boundaries." Eleven major watersheds, from seashore to mountain summit, encompass a 7,000 square mile landmass that is bigger than the Sanctuary itself.